The calendar is a very versatile and powerful tool, if you learn how to use it. The top left lets you navigate between dates. The top right lets you switch between different views. 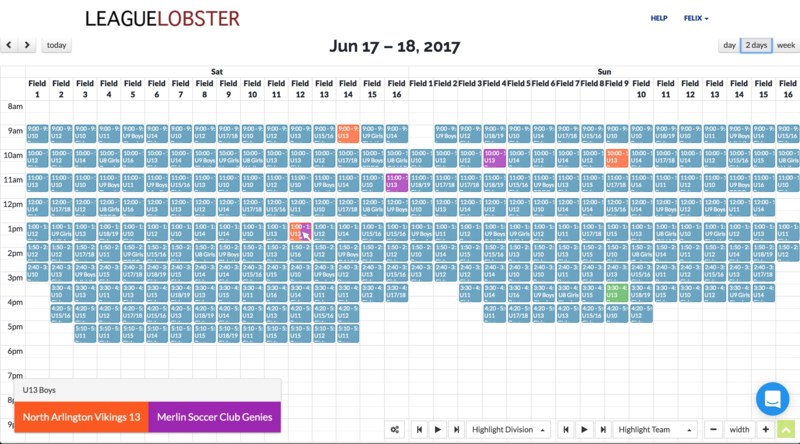 The 2 days view is particularly useful for 2-day tournaments – it lets you see your entire event on one screen. For leagues, you'll also typically see a season view that shows you the whole season at once. You can drag and drop games on the calendar to reschedule them. 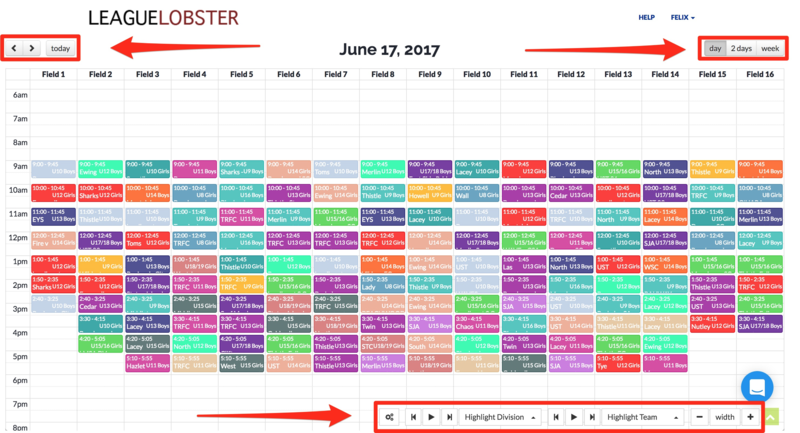 Hovering over a game will show you both teams' other games – this is to help you find an appropriate place to reschedule the game via drag and drop. You can also click on a game to bring up the Edit Game dialog, which lets you change the teams and any other match details, as well as delete the game. If you've tried this, please let us know what you think and if you have any thoughts on how to improve this feature – or any other feature for that matter.